This past Fall my older sister married a wonderful man. Their wedding and reception were held in Calgary, and to make the day easier on the family and friends who had traveled so far, we photographed the rest of their photos a separate day following their honeymoon, when we could make it out to Banff. PhotographING my sister’s wedding was an even more intimate experience than shooting a wedding typically is, because I know and love everyone personally, I know everyone’s relationships and feelings. I’m usually a teary mess during the vows and speeches (love is so beautiful! ), but I will freely admit to crying most of the day this time around. Huge shoutout to the beautiful ladies/friends who stepped in as the extra sisters I needed, I will love you forever for all that you did. These getting ready and first look photos all took place in my home, and my best friend since I was 5 years old did an incredible job on my sister’s makeup, my cousin Shawna killed it with the hair. My daughter has a special connection with her Auntie Sarah, and photographing her excitement to be a part of everything was also really neat for me. 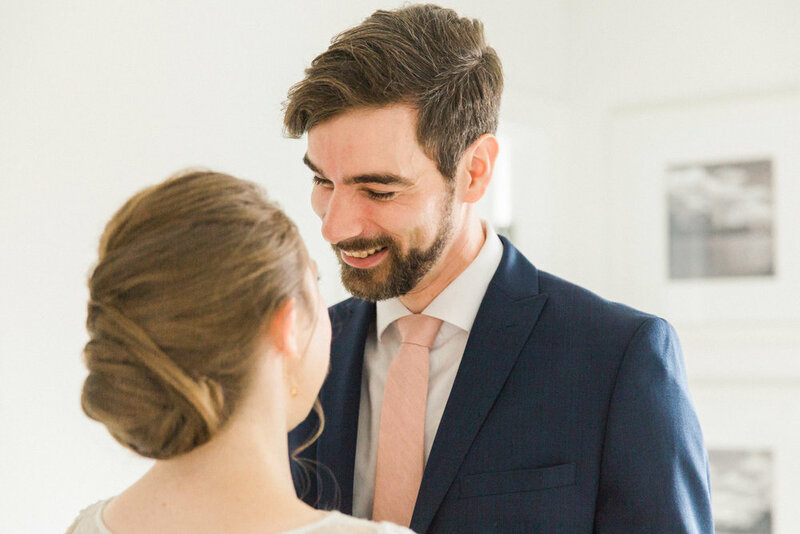 Since the bride was my sister this time, I asked her and her husband some more emotional questions about their day, and what made the biggest impact on the meaningfulness of their wedding. Take some notes to make your own day even more meaningful, because in the end it’s all about the two of you and how much you love each other, and focusing on that is what makes for the most beautiful photos. A few beautiful details my sister added to the wedding was the cameo ring she wore, it was our late Grandmother’s. At the reception she used cake plates that our late Grandpa had made, and the cufflink box she gave to her husband, Ben, was made by my Dad out of wood Ben actually had brought back from work. She also designed her own wedding invitation suite, since that’s what she does and she’s amazing at it. Check her site out here. 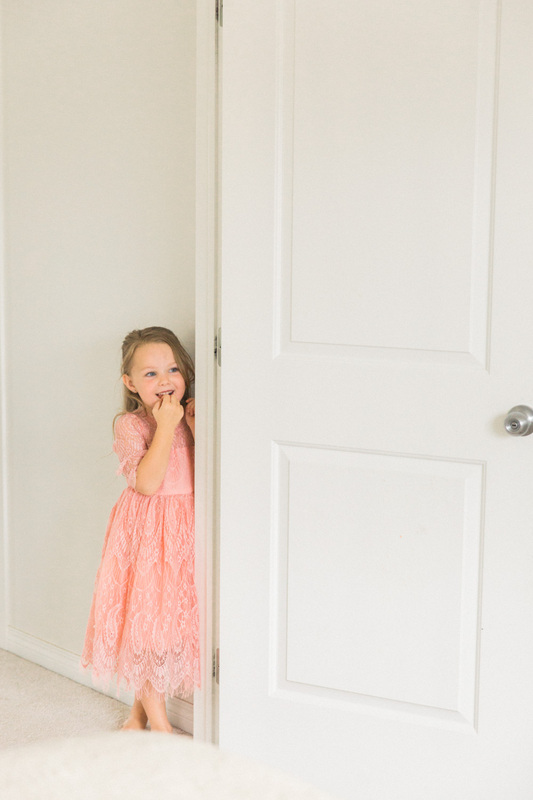 There are a few things that I strongly encouraged as your photographer and sister, such as having a first look after the two of you were ready (especially since your ceremony couldn’t be photographed for religious reasons). What are your thoughts on the first look and your experience with it? SARAH: I was so emotional all morning, and I was grateful to have a few moments on our own for us to see each other. I mean, I was still super emotional all day, but I think it made a big difference to share a private and intimate moment before we went to the temple to be married. It helped to get some of the jitters out and to just remember that we were in it together and that I wasn't facing such a big day on my own. We were able to share and feel our love for each other one more time before making the biggest commitment we ever will. BEN: It was very memorable. Since our wedding day is solely about our union together, it was special to share that first between us. HOW DO YOU FEEL WHEN YOU LOOK AT THESE FIRST LOOK PICTURES? SARAH: I feel like crying haha. It brings back all of the things I was feeling and thinking and experiencing. Especially looking at them in combination with the photos that were taken while we were getting ready, I feel like they aren't even photos, it's like each one is a feeling or an emotion or a relationship, and they bring with them a whole lifetime of experiences within each relationship with everyone in those photos, and how they all helped me to become the person that would be blessed to find such an amazing man to spend the rest of forever with. So, all of the photos leading up to and including our first look bring me so much emotion and so much of my life and so much love when I look at them. It might sound funny, but looking at them feels like a glimpse into every part of my life that eventually lead to such a large culmination of happiness and love and life on the day of our wedding. BEN: I relive those memories, and it reminds me of the joy we had then. In turn it helps me emulate that joy in the present and the future. Once they were ready, we all jetted off to the temple where their ceremony took place. I was able to photograph them exiting through the temple doors as a newly married couple and also capture my kids loving on their Auntie Sarah who “Looked like a princess!” according to my daughter. I even slipped into a few family photos myself, including one with just my sister and I. WHAT WAS YOUR FAVOURITE PART OF YOUR RECEPTION? WHAT DID YOUR GUESTS LOVE THE MOST? SARAH: We LOVED how warm, welcoming, cozy, and not too formal our reception was. We had wanted so badly to have it at my parents' home, for all of the feelings that home brings and to invite the family and friends we wanted to be with us to share in that warm feeling of home on such a special day. However, due to renovations at the time, we couldn't do that. We were lucky enough to find a venue that felt like home from the moment you walked in. And when I say find... I have to give you a lot of credit because you recommended it! So, the overall feeling of our reception, combined with the AMAZING homemade cakes we had was what we loved the and what we've heard over and over from our guests that they loved too. We are so grateful that so many of our family and friends that we love were able to come and make it so wonderful! BEN: The food on both accounts...hands down. A close second would be the interaction everyone had in an intimate, inviting space. Both sides of the family joined together was really neat to see and experience. Yes, that’s my kid in the back hall draining the empties (sparkling juice, don’t panic!). That’s my family, always keeping it classy! Stay tuned for Part 2 of their wedding photos to see the beautiful images we took when we went to the mountains in Banff. In the meantime, enjoy these last few pretty images taken at the reception hall, in a room that had beautiful light, a gorgeous wall colour, and may or may not have been the bathroom.